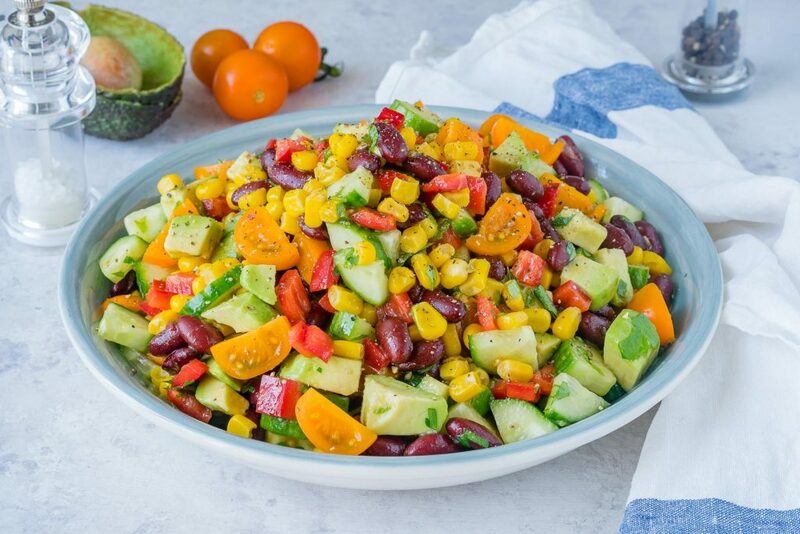 Quick Sweet + Spicy Summer Salad is Super Yummy and Clean Eating Friendly! 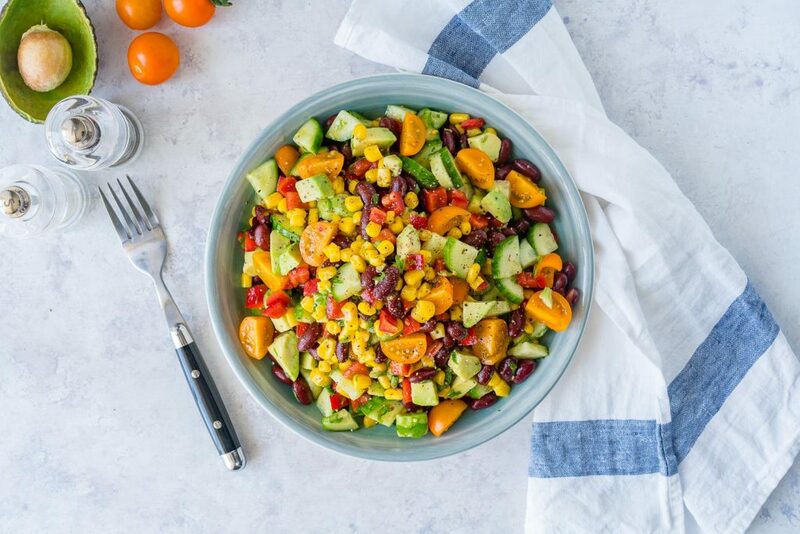 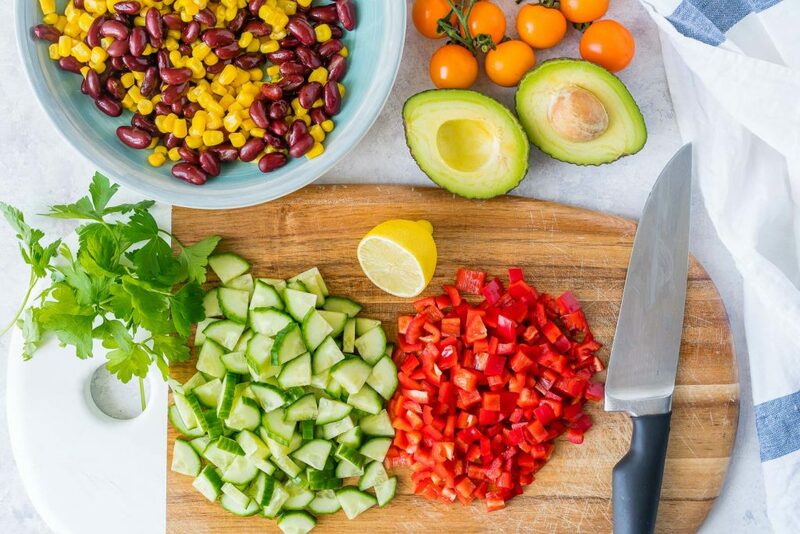 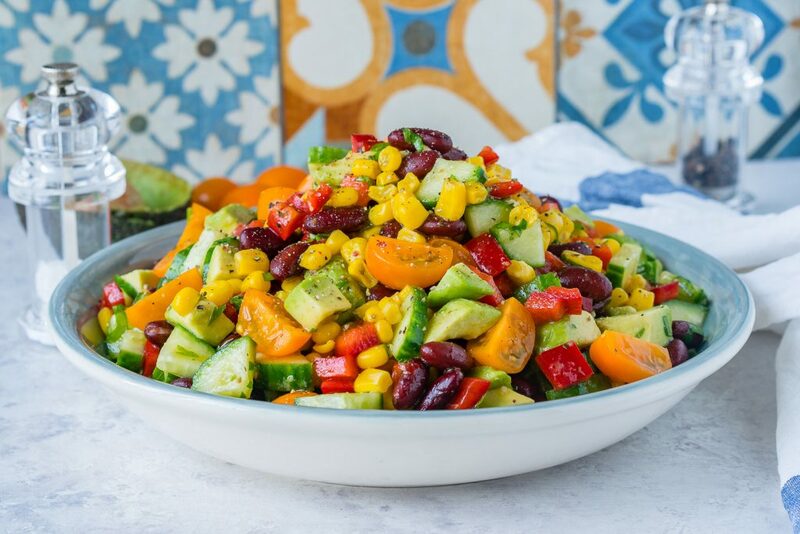 Place the cucumber, black beans, corn, red pepper, cherry tomatoes, avocado and chopped cilantro in a large glass bowl. 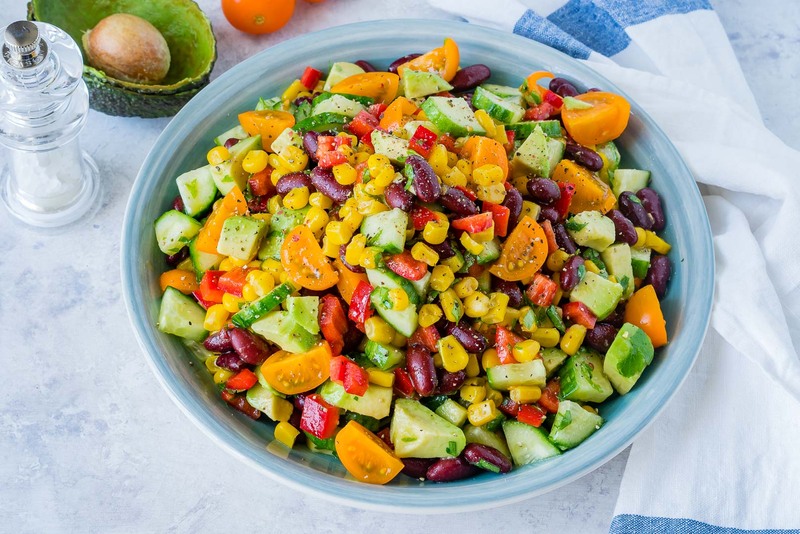 In a smaller bowl, whisk all the dressing ingredients until combined well. 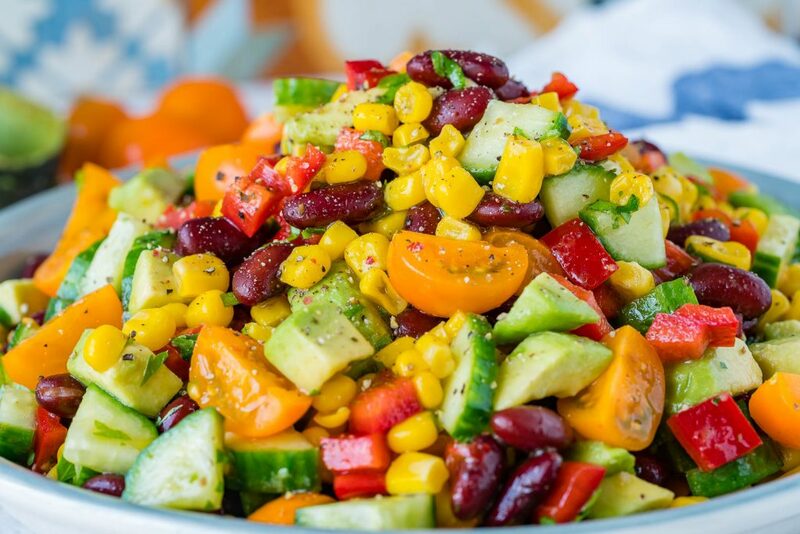 When ready to serve the salad, drizzle the dressing over, and gently toss to combine.